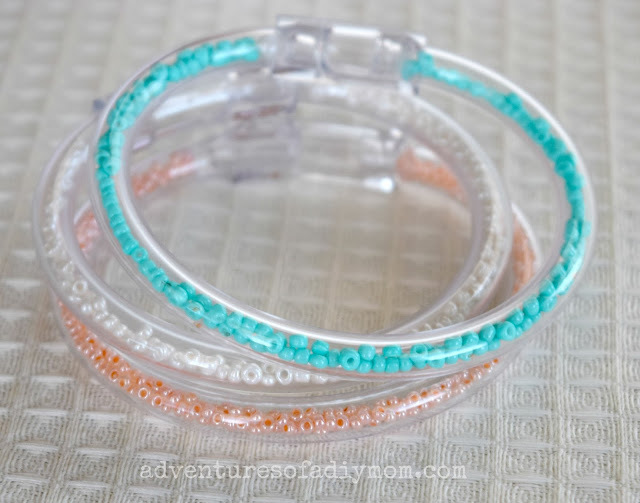 These fun plastic tubing seed bead bracelets are super easy. 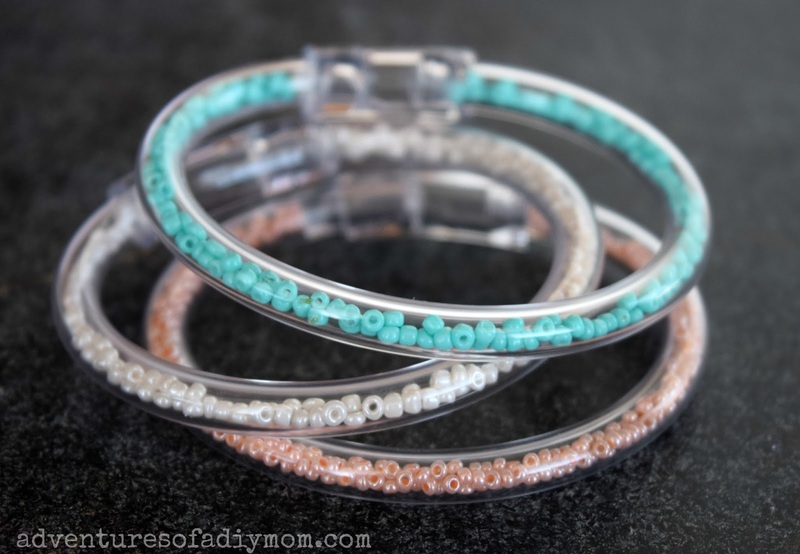 They are the perfect bracelets for your little ones to help make. The color combos are endless. I made these with my young women's group. They loved it. I got a big variety of seed beads and let them have at it. 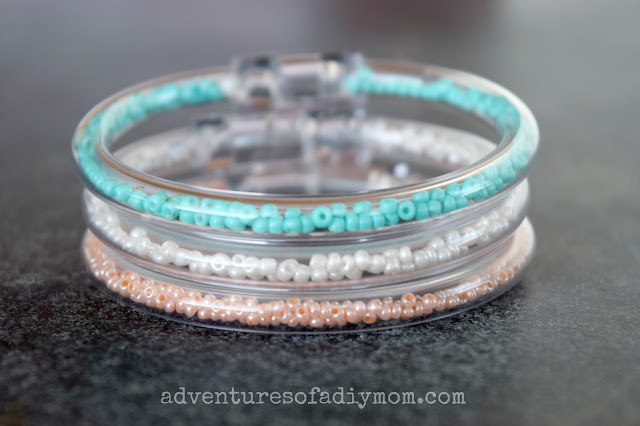 Some of them combined colors within each bracelet and they turned out so cute. 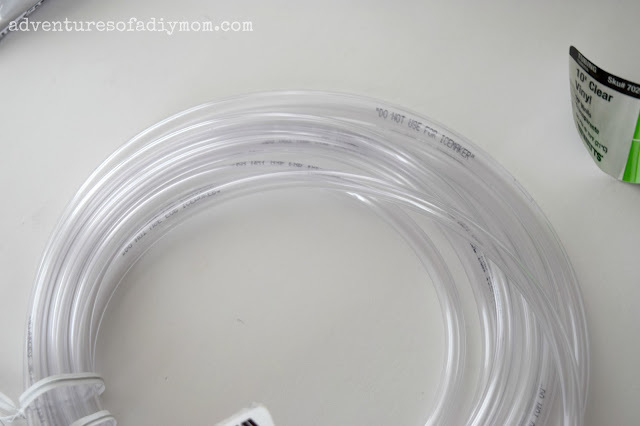 I found the tubing at Home Depot. It took me a while to find it even after asking a couple people for help. It's in the plumbing section. The 1/4" tubing that I got had printing on it. Luckily the sections between the writing were big enough to make a bracelet. Cut a 1" piece of 3/8" tubing. I started out using E6000, but soon realized that hot glue works just fine and it's so much faster not having to wait for it to dry. 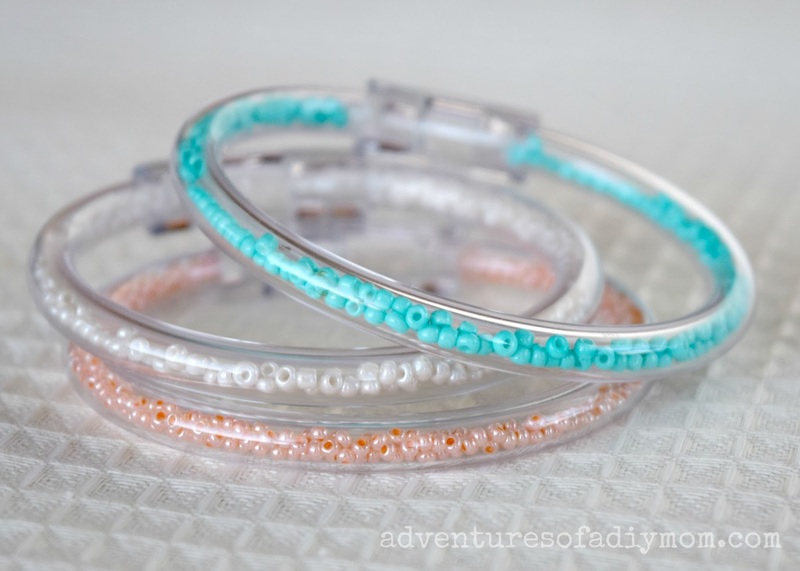 Add a dab of hot glue into one end of the bracelet. Add the beads. Add another dab of hot glue to the other end of the bracelet. 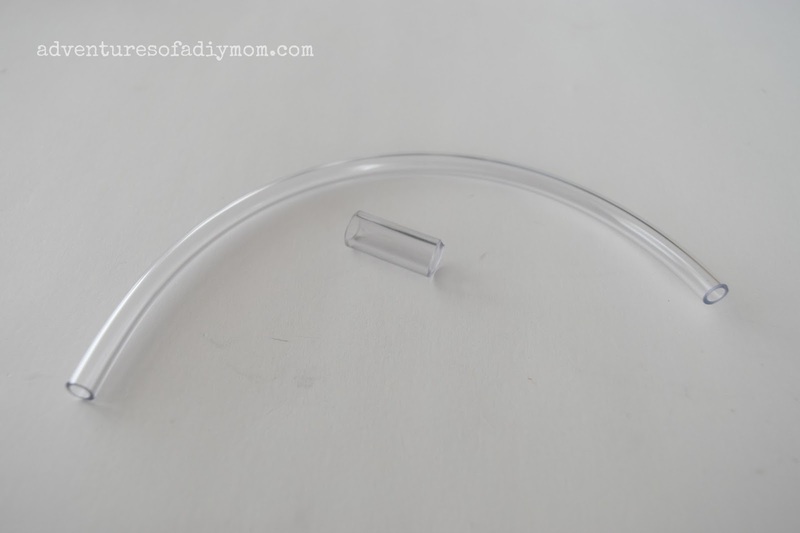 Once dry, attach each end together by inserting into the small 3/8" piece of tubing. Easy Peasy! You could also fill them with glitter. It's a bit messier, but they turn out really pretty.